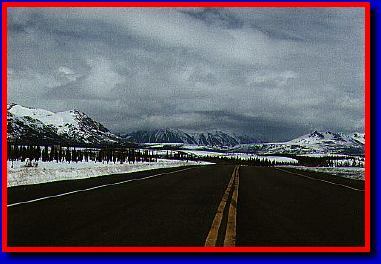 Welcome to my Alaskan picture page. This page may take a little time to load but I hope the pictures are worth the wait. I've lived in Alaska for 15 years now and am still awed by the beauty of it all. The Mountains, lakes and how big the sky can seem. 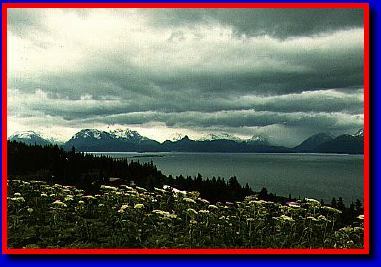 Here are a few sights to share Alaska with you. 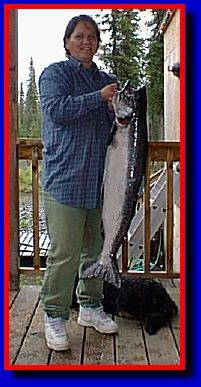 First King Salmon for us in 1998. 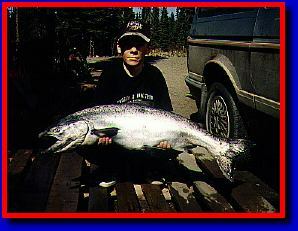 Twenty pound chinook caught in the Kasilof River by my wife, Tami. 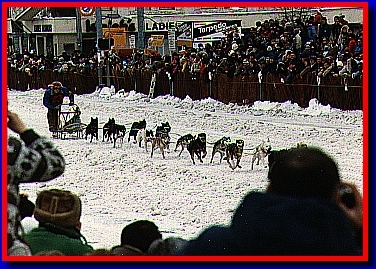 Dogsled team starting out in a race in downtown Anchorage. 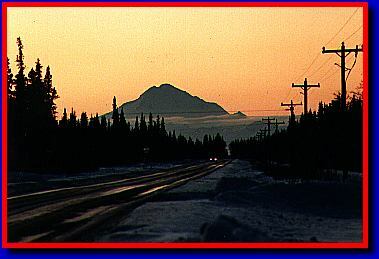 Redoubt Volcano from across Cook Inlet. 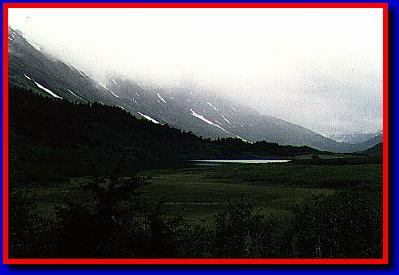 Alpine meadow on the Kenai Peninsula. 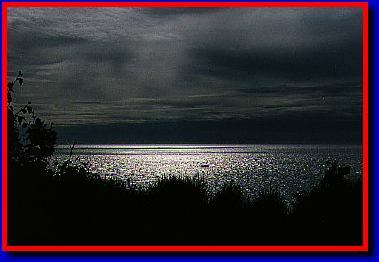 Looking west across Cook Inlet from the Kenai Peninsula. My oldest son, Timmy,with a 25 pound king salmon he caught. 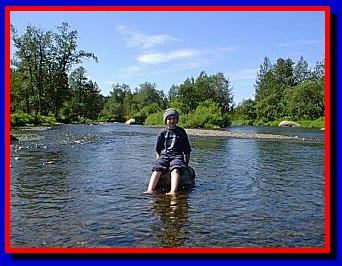 My middle son, Robby, enjoying a warm sunny day at the Anchor River. The old one lane bridge over the Anchor River. The school of the far north. An ISP up in Fairbanks. Lots of local info. Great for starting fires during the winter. The Kenai Canoe Trail -- The Other Boundary Waters! The BIG Alaskan winter carnival. Check out John's site. He's got a lot to say. Fishing for large salmon is the best.